The FEI World Equestrian Games, held every four years in the middle of the Olympic cycle, is one of the biggest events on the global sporting calendar, combining eight equestrian World Championship caliber events in a predetermined location. The FEI disciplines—Jumping, Dressage and Para-Equestrian Dressage, Eventing, Driving, Endurance, Vaulting, and Reining—are all included on the competition schedule, while equestrian-focused demonstrations and exhibitions will be hosted throughout the duration of the event. The 2018 edition of the FEI World Equestrian Games will be held in Mill Spring, NC, September 11-23, at Tryon International Equestrian Center, one of the world’s premier equestrian lifestyle and competition destinations. Conveniently and centrally located between Charlotte and Asheville in North Carolina and Greenville and Spartanburg in South Carolina, the venue provides outstanding facilities with onsite shops, restaurants, lodging, and entertainment. 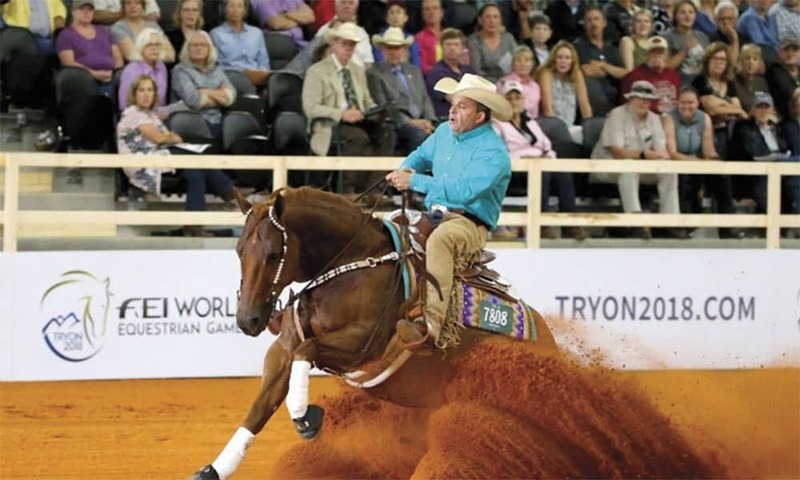 Visit tryon2018.com for more information.